Duplicate Photo Cleaner helps you organize your photos in a quick, easy and effective way. No matter whether you take photos with your smartphone or a professional dSLR, Duplicate Photo Cleaner lets you delete the duplicates and organize similar photos in just a few clicks. Duplicate Photo Cleaner brings a whole new methodology to how you can find duplicate photos. Unlike most duplicate photo finders that search for duplicate files by file name, file size and date, this program compares photos just as a human would. This duplicate photo finder can find similar files with any degree of similarity that can be set by the user. The program identifies edited, cropped, rotated images and photos taken using different camera settings. The innovative content-based photo comparison algorithm ensures phenomenal accuracy. This duplicate photo finder lets you find duplicate photos and delete the ones you don't need within minutes. To start the search, simply select the folders you want to scan, select a scan mode (the program can search for duplicates in any folder on your PC or Mac, including your iPhoto library), and run a scan. You can also set the custom level of photo similarity, which determines how the duplicate photo finder searches for similarities in files. By default, this level is set to 50%. Duplicate Photo Cleaner allows you to manage duplicate photos the way you want it. When the scan is over, you can review the scan results and preview all duplicate photos. All images are presented as duplicate groups where one file is the original and the rest are duplicates. All you need to do is select the duplicates and tell the program whether you want to delete them into Trash or move them to a different folder. Do you need to check your backups for duplicates or prepare several folders for merging? Duplicate Photo Cleaner's Folder Comparison mode will help you do that in less than five minutes. It will compare images in target folders against images in source folders, find duplicate pictures, and mark the originals with an "M" icon to make it easy to delete the duplicates and keep the master files. Duplicate Photo Cleaner has an embedded photo viewer that allows you to view photo thumbnails and compare duplicate pairs side by side. The photo viewer will help you make sure you are deleting the right files and not the files you want to keep. Duplicate Photo Cleaner can find and delete duplicates in Photos in just a couple of clicks, which makes it prefect for managing photos on your Mac. If you still use iPhoto, Duplicate Photo Cleaner works with it too. Duplicate Photo Cleaner has a unique scan mode that makes it possible to find an element from one image in other photos. This mode offers unmatched precision and is great for professional photographers and designers. Who can benefit from using Duplicate Photo Cleaner? Professional photographers. As a photographer, you can quickly group a series of photos and choose the best photo. The program supports RAW images, which makes it ideal for professionals. Webmasters. Webmasters who have websites with many photos and graphics can use Duplicate Photo Cleaner to organize photos and delete duplicate images that take space on the hard disk. PC users. 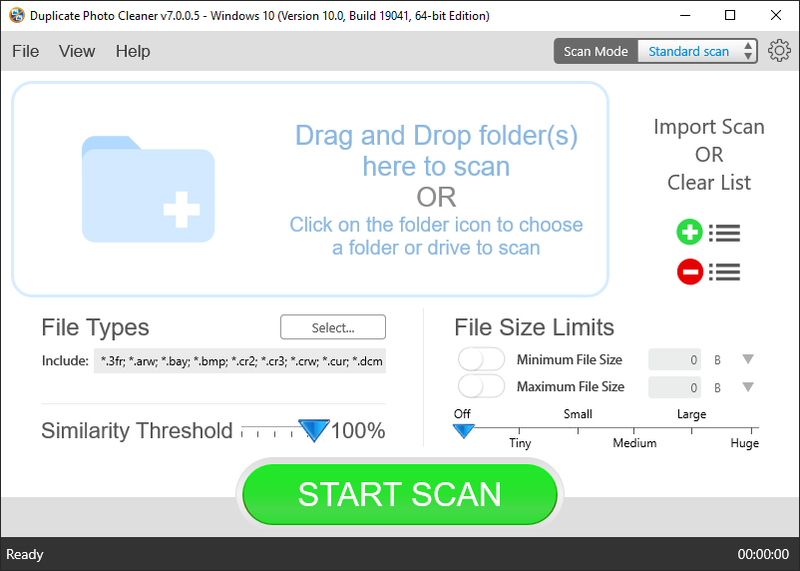 People who have a lot of pictures, digital photos and desktop wallpapers can rely on Duplicate Photo Cleaner to remove redundant or slightly modified files, making the collection perfect and organized.